We would recommend you order one size up from your normal shoe size. Hugely popular and suitable for kids and adults, the Phoenix White and Pink roller skates offer amazing value for money. 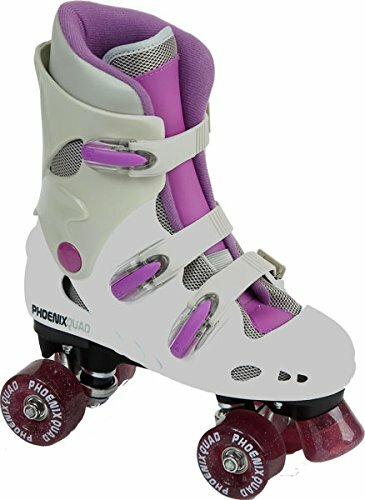 Phoenix roller skates have a two-piece hard boot and a high impact chassis for maximum protection and secure feeling while skating. Offering excellent ankle support, the Phoenix skates are great quality and value for children and adults of all ages. Please note: Phoenix White & Pink roller skates are a tight fit so we recommend you go up one full size.